Do I need to reserve, or can I just walk in? You can always walk-in to the studio and see if there is an open spot in a class, but we strongly suggest booking online prior to showing up to make sure you get your workout. If a class is fully booked but we have clients who do not show up, they will forfeit their spot and these can be given to walk-in clients as soon as the class starts. Can I cancel an online reservation once it's booked? Of course. If you can cancel a reservation for any class no later than 7 p.m. the evening before the day of the class, the class will be returned to your account for use at a later date within the expiration period of the class package. If you cancel later than this your account will be charged for the class. Do I need to arrive in advance of my class? We strongly recommend arriving in good time for your class, which would be 5-10 minutes ahead of the start time. We never schedule consecutive classes without a short break between them so the studio will always be open in advance for you to get settled. Before an indoor cycling class starts you will typically want to adjust the bike to your preferred settings. 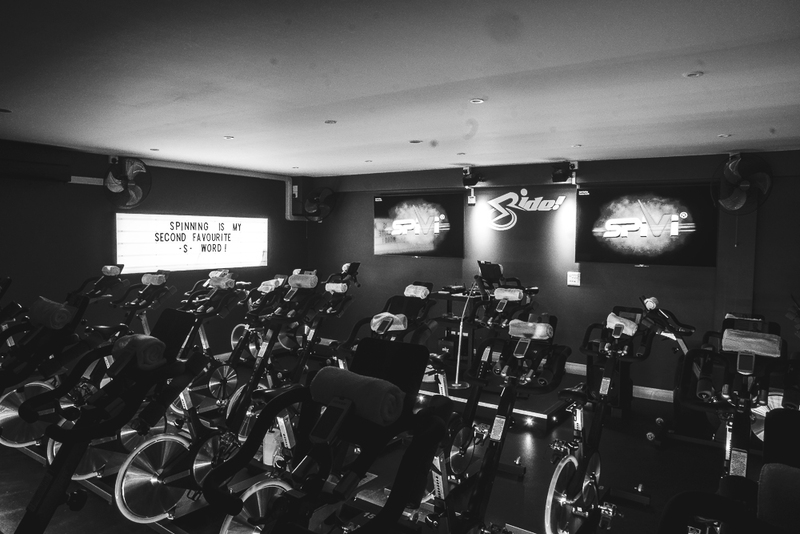 And in all of our classes, whether cycling or strength, the first minutes incorporate a warm up which is important not to miss, and possibly instructions for the class. How do I find the studio, and where can I park? Does the studio have bathroom and shower facilities? We do have bathroom facilities but do not have showers. Are the class schedules and instructors subject to change? The schedules are fixed in advance, with seasonal variations in place typically during school holiday periods. If a class is cancelled, which we try to keep to an absolute minimum and to circumstances beyond our control, anyone signed up for the class will receive a notification and will be credited back for the class. Our instructor roster is also very consistent. From time to time instructors may cover each other’s classes, for example if an instructor is ill, on holiday or otherwise unable to take the class. Any instructor changes are indicated on the website and notified to anyone signed up for the class prior to the change occurring. We always endeavor to have long-term relationships with our instructors and have been very successful with this two-way loyalty. However, circumstances do change and changes to the instructor team can happen from time to time.